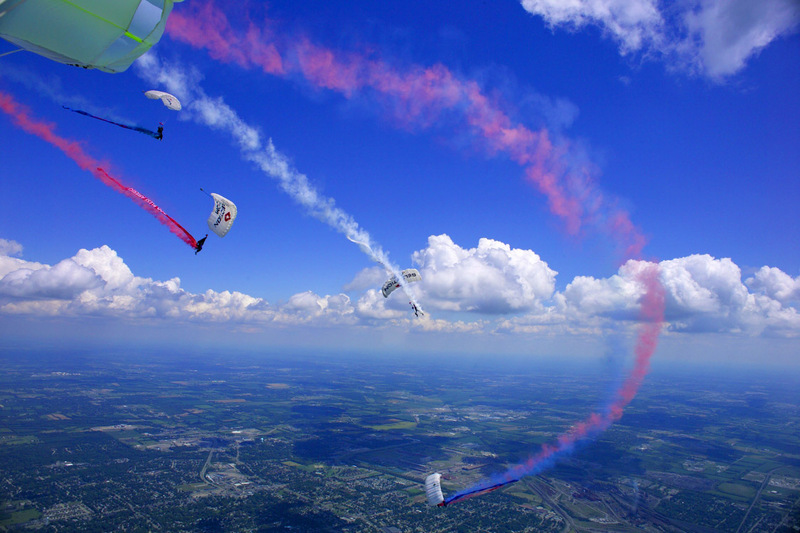 The Skydive Smoke show is perfect for daytime festivals. 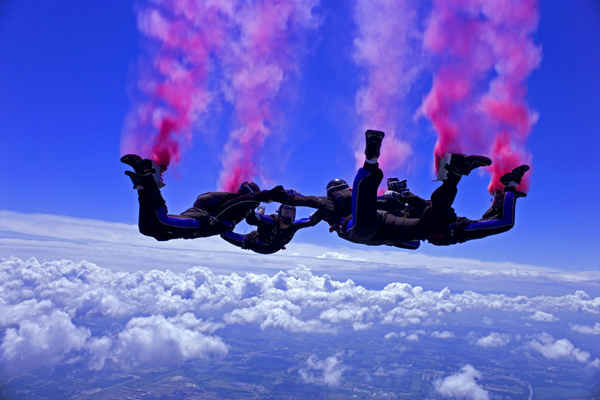 Four or more highly skilled members of Team Fastrax™ will exit the aircraft from over 10,000 feet and deploy colored smoke while free-falling for 35 seconds at over 120 miles per hour! The demonstrators will then track away from each other creating a beautiful starburst effect before deploying their canopies. 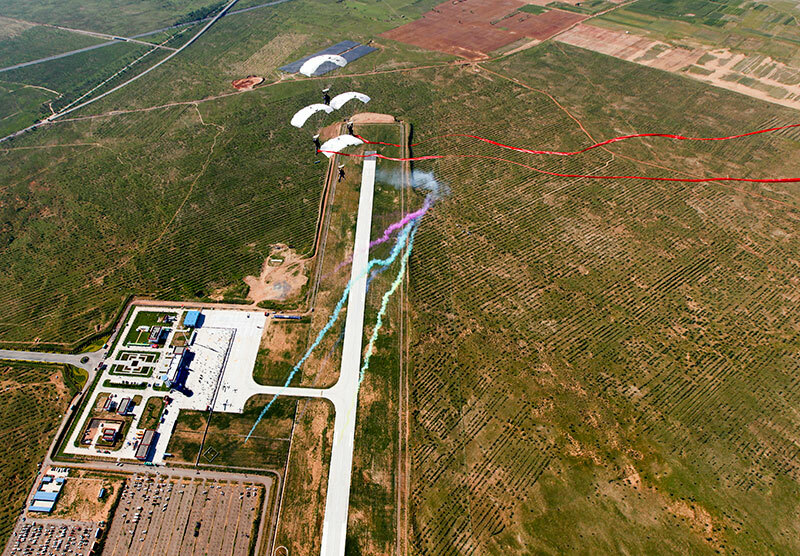 They will then fly back into a beautiful formation trailing more colored smoke and 150′ red, white and blue streamers before landing on target in the designated area. This show typically lasts 10 minutes. We also have a daytime colored smoke fireworks show where we shoot up to 48 one inch colored fireworks off of each demonstrator. 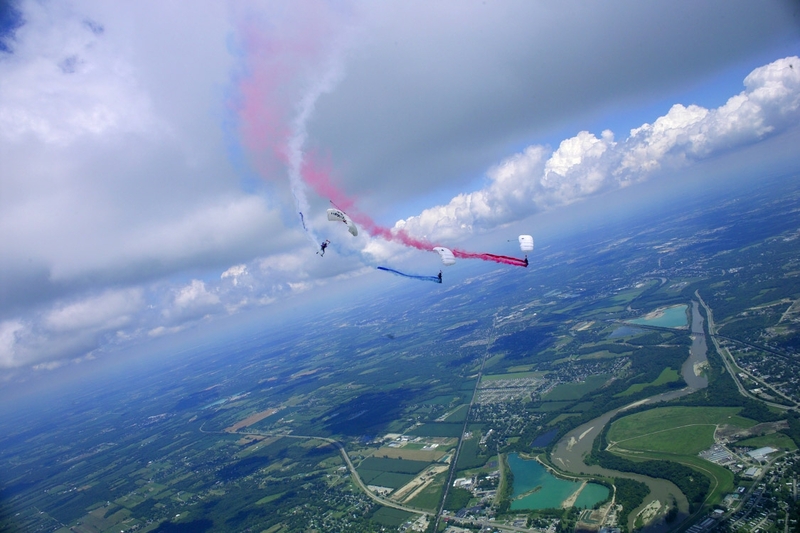 Be sure to include our state of the art LIVE-FEED system to capture this show up close!